The Ulster Farmers Union, in partnership with Bank of Ireland Open Farm Weekend and ASDA, has launched its 2018 schools competition. The competition is open to all nursery, primary, and special schools across Northern Ireland. This year pupils have been asked to put their creative skills to the test around the theme, ‘Farming through the century’. This theme has been chosen to help the Ulster Farmers’ Union celebrate its centenary year. ASDA has kindly agreed to sponsor the competition with a range of prizes up for grabs for the lucky winners. He said that each year the UFU has been impressed with the number and quality of entries for the Schools Competition. “This competition will give pupils a greater understanding of how farming practices have changed over the years. We would again encourage schools and teachers to participate, in what is a very worthwhile competition,” said Mr Bell. Now in its seventh year Bank of Ireland Open Farm Weekend has gone from strength to strength. The free event provides schools with the opportunity to educate children about the ‘Farm to Fork’ journey. “The weekend underlines the importance of supporting local producers to benefit the rural community and wider economy in Northern Ireland. I would certainly encourage schools to consider a trip to a farm,” said Mr Bell. Entry forms have been sent to all nursery, primary and special schools. The closing date for entries is Friday 9 March 2018. For further information visit www.ufuni.org or contact Heather Stewart at UFU HQ on 028 9037 0222 or heather@ufuhq.com. 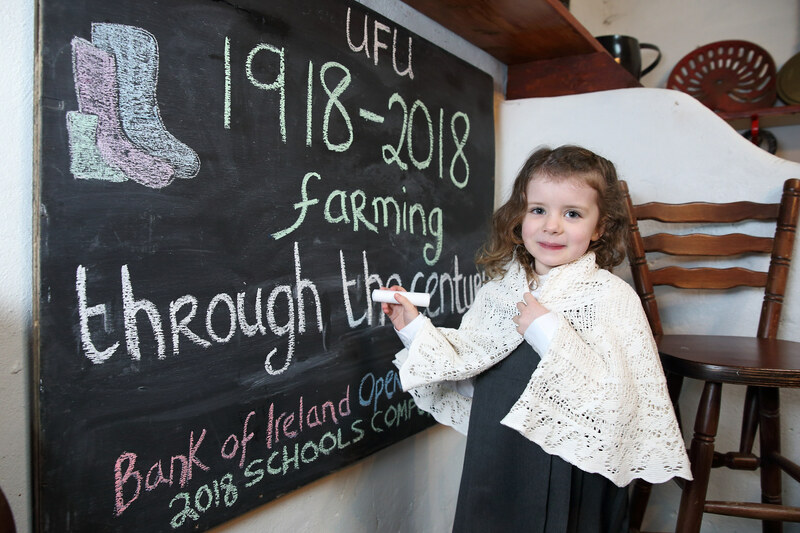 Photo Caption: Hannah Stewart, 5, from Rathfriland launches the 2018 UFU Schools Competition in association with Bank of Ireland Open Farm Weekend and ASDA.